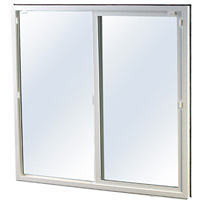 You can rely on CK’s Windows & Doors to provide only the highest quality basement escape windows in Southeast Idaho. CK’s uses Amsco Windows as escape windows are placed into the metal basement buck and have a special schlegel fin that no other window manufacturer makes. These high quality windows are available in white, taupe, and almond colors to match the color of your CK’s buck and window well. They also come in clear, low-E, and argon filled glass, and can also be ordered with internal grids.